I’m excited! 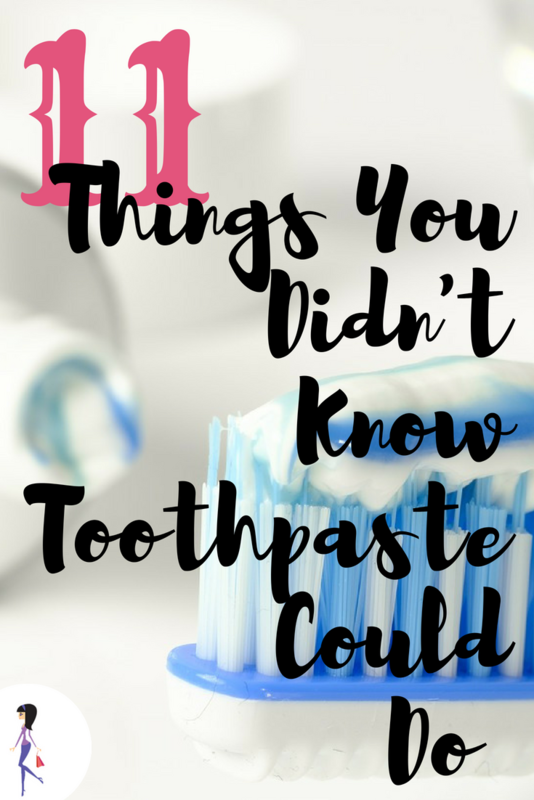 I love a simple household product that is really so much more, and I’m pretty sure your mind will be blown, too, when you see all the ways that toothpaste can work for you. I mean, it’s something we all already have at home, so it’s always available to fix a situation when you’re in a pinch. Not to mention that a do-it-all product eliminates the need for more, fancier, and expensive products! 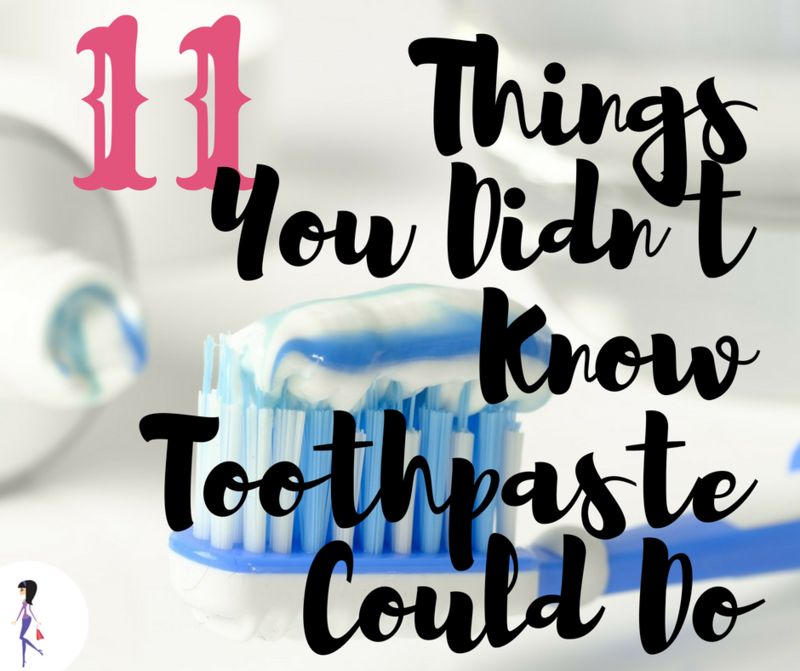 So here they are- the wonderful uses for toothpaste! An unfortunate pimple can always pop up- even if you don’t have a regular acne problem. In which case you most likely won’t have dedicated pimple products. Toothpaste to the rescue! Just dab on a little bit at bedtime, and by morning the zit should be a lot smaller. Those annoying mosquitoes! And the itch from a bite can drive you insane, if you don’t know how to take care of it. Apply some toothpaste for quick and soothing relief. You can try it on itchy poison ivy rash, as well. If you already scratched and have broken skin, you might want to skip this, though, since it might burn. Get rid of odors from onion, garlic, or fish by rubbing toothpaste on your hand. Rinse and smell minty fresh! You can help a blister along with some toothpaste. Also good for minor burns. Foggy goggles are annoying and dangerous; prevent that from happening by coating the goggles with a little toothpaste. Rub it off so that you can see. Just dab toothpaste on leather shoes and rub with a soft cloth. This works on leather bags and furniture, too. Keep the white rubber parts of your sneakers looking good by scrubbing with non-gel toothpaste. Rub gently with a soft toothbrush, then clean with a damp cloth. Just scrub chrome with toothpaste and rinse. How convenient! Scrub with a sponge and rinse for a clean and fresh-smelling sink. Crayon on the wall: been there, done that for every parent of a toddler. Don’t freak out, though- Use a brush or a rag and scrub with non-gel toothpaste. Rinse with water, and hide those crayons! Do you have any smart toothpaste hacks? Share with us on Facebook and Twitter!